Highest flow accuracy for ultra-high purity deionized (DI) water vapor delivery. 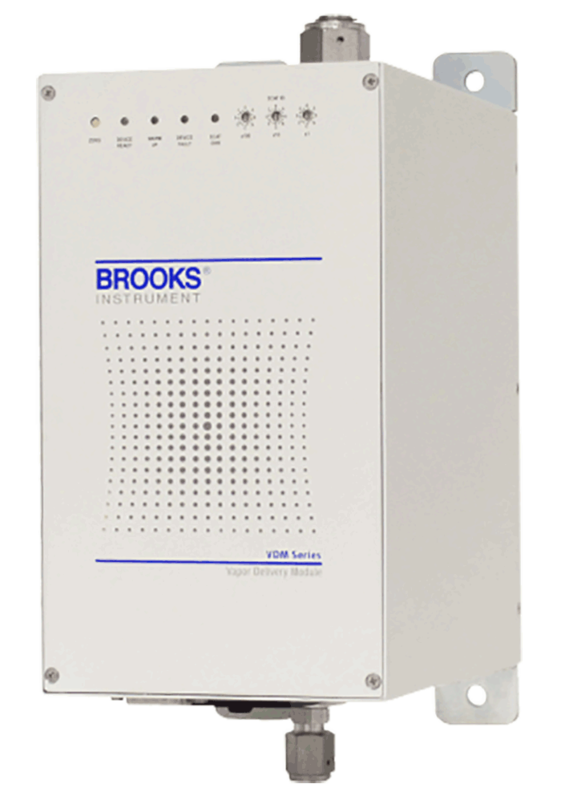 The Vapor Delivery Module (VDM) from Brooks Instrument is a high-performance, self-contained module for the highly accurate delivery of ultra-high purity deionized (DI) water vapor. It features a power efficient design that enables low temperature, ultra-high purity vapor generation. 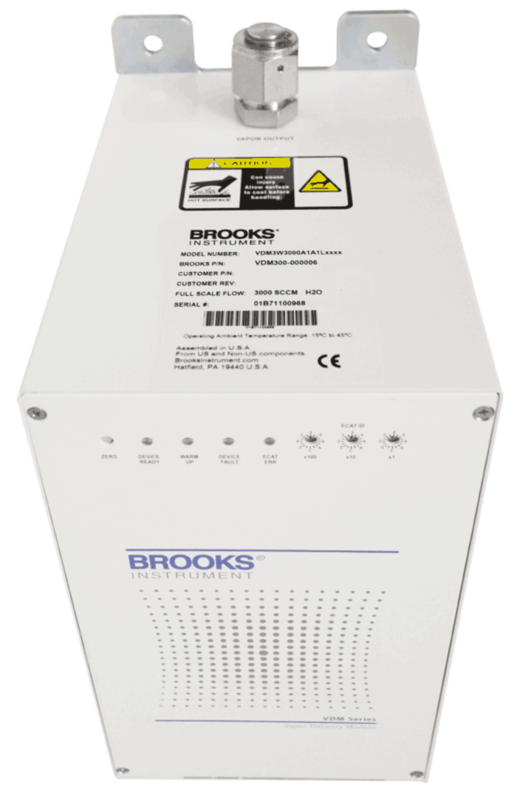 It utilizes a proven vapor delivery technique and combines it with advanced digital control and integrated diagnostic features in a small, convenient package. Designed for advanced strip and post metal etch passivation processes, the VDM delivers improved accuracy, higher flow rates, wider control range and lower power consumption compared to flash evaporation systems. 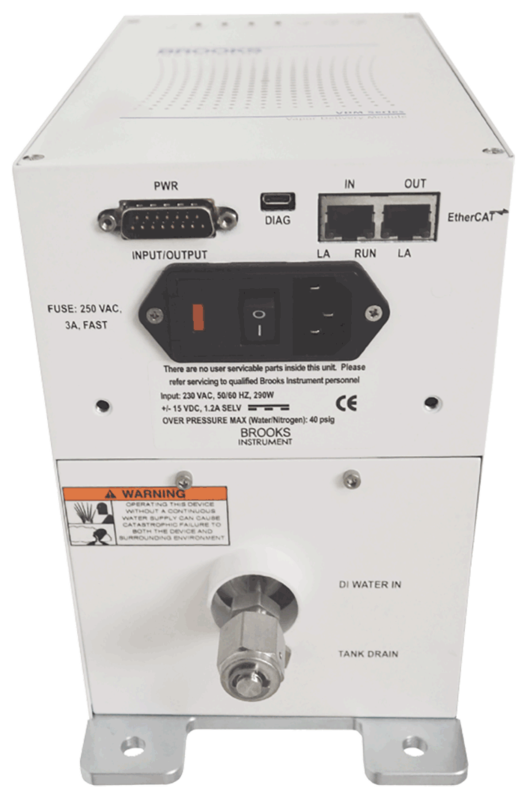 Based on proven thermal mass flow measurement techniques, the VDM produces vapor in a non-super-heated vapor state, reducing the aggressive effects of deionized water, for improved reliability and cleaner operation. 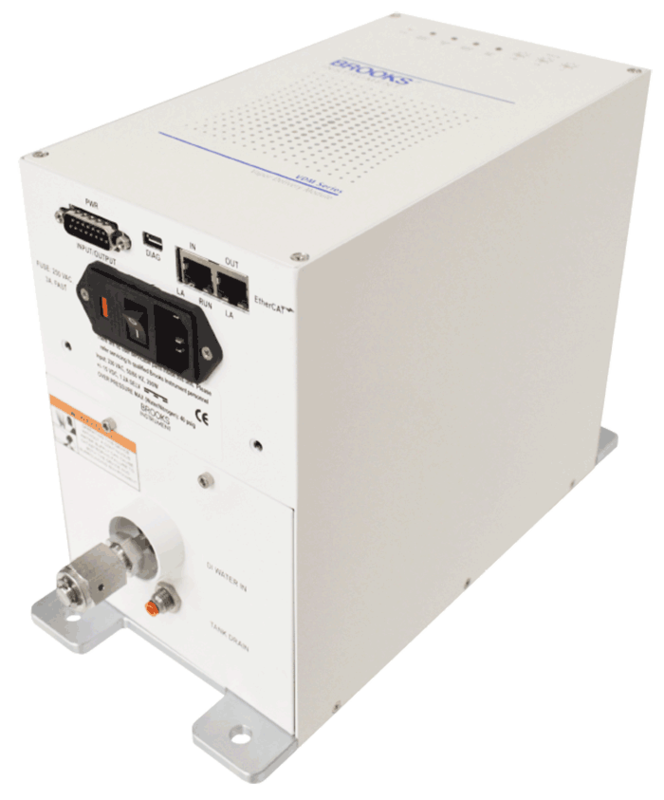 The VDM offers user-friendly data logging and diagnostic features via an independent service port and an intuitive graphic user interface.